In its 4th year running, Singapore F1 GP 2011 strives to improve itself each and every year, for the drivers and spectators, thus giving me an avid F1 fan to come back year after year since its arrival into Singapore in the year 2008. Although I got my F1 pass late, it was worth it and I had a great time at the Singapore F1 GP circuit, an amazing night race around the heart of Marina Bay, with my Saturday pass for the 3rd practice and Qualifying session. With an exciting entertainment program line-up of international singers and performers, making Singapore F1 GP unique and special from the rest of the other F1 circuits around the world, bringing Singapore to a spotlight around the world. 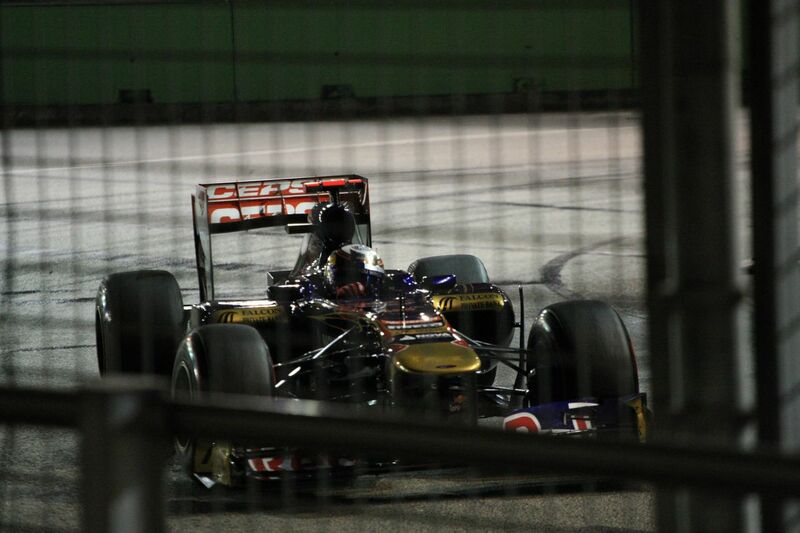 However, I was more interested in the F1 cars in high octane speed action, more than the performers. Therefore, I was walking around and soaking in the carnival atmosphere, watching the F1 cars zooming pass me and trying to identify each and every F1 car, capturing them down on my Canon 1Dmk3 with my 70-200mm f4 L USM lens. The sports photography of Formula One is very demanding, on the equipment, to be of the high end level, along with experiences, skills and tips. 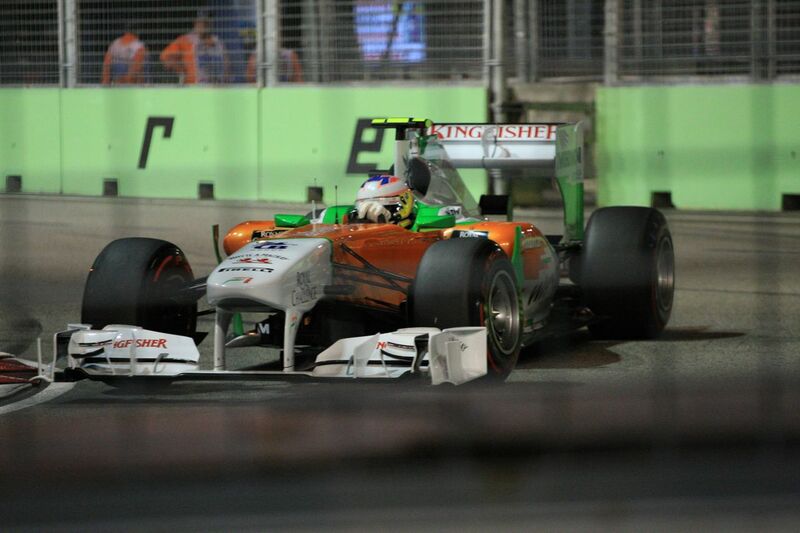 Do check out my Singapore F1 GP collection and recap the memories ! Starting off at Turn 13, at the Fullerton and Esplanade Bridge area, it was my favourite spot and it’s very crowded, having to squeeze in behind many rows of people and shooting the F1 cars with spectators heads in my photographs. After the practice session, I took a rest and enjoyed the cooling air-conditioning at the Esplanade before moving to Turn 8, near the Stamford Grandstand, another sweet spot for capturing F1 cars in action. Linked up with Renhao with his 300mm f2.8 lens and we were firing away during Qualifying Session. While it was very challenging to capture the F1 cars in action, it gave me more experience than before and I would be planning to write my updated version of F1 Photography tips soon, looking forward into Singapore F1 GP 2012, I need to plan ahead, buy my 3 Days pass earlier and get the Premier Walkabout to capture F1 action from more angles, perspectives and locations in Singapore F1 GP ! There might be people out there who commented Singapore F1 GP is getting boring, personally, I think it will only get more exciting as we can see from 2010 and 2011, with more excitement on the rack circuit and more overtaking, with the F1 drivers getting more experiences on the Singapore F1 Marina Bay circuit! 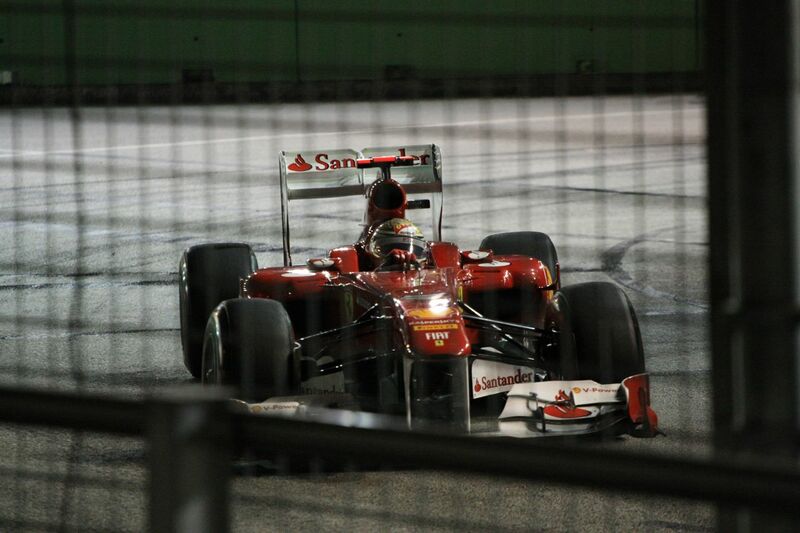 Let’s all look forward to Singapore F1 GP 2012 !! All hands on deck Audi Ultra Super Maxi Yacht!